See how Salesforce uses the Salesforce Platform to help employees change the world. Discover the app that transforms and supports employee philanthropy. 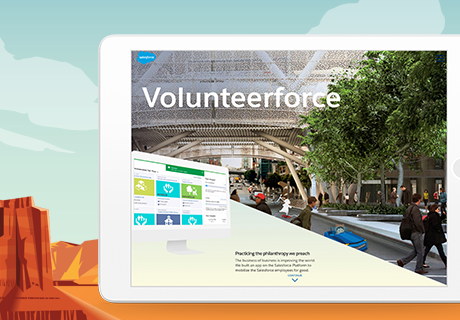 See the app that’s helped Salesforce employees support over 23,000 organizations and donate $8.1 million.